Get your ‘Revenge’ in the country, Hampton’s style. 15 Acres of partly cleared land and dreams of a ‘Revenge’ inspired country residence. Our clients like the look of our Hampton’s renovation in St Ives and also wanted their home to be thermally efficient with passive solar. 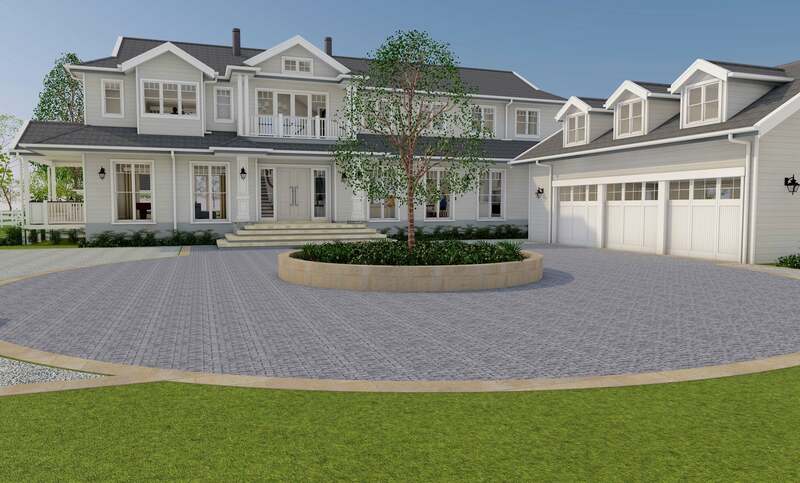 The house also needed 4 Bedrooms plus guest suite, 2 large living spaces, open plan kitchen with butlers pantry, 3 car garage plus storage, and an impressive entry & sunny rear patio overlooking the new pool and beyond to their two dams. As the architect, my first thoughts were about orientation for the sun. We then found that by turning away from the road we could get north sun, views to the dam and a more meandering approach for visitors. The south side is formal with smaller windows and a turning circle, while the north has large doors and windows opening up to the outdoor patio, pool and onto the flowing lawns. The design is a master plan for the hopes and dreams of our clients and one we hope will inspire them to achieve.